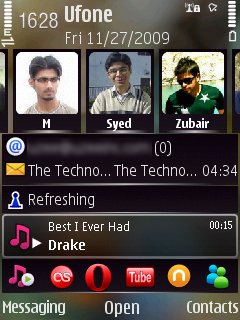 Who doesnâ€™t love the HTC Sense UI that was launched with HTC Hero? The perfect balance of dark hues with lime green highlights is simply mind blowing. Unfortunately, the interface is exclusive to HTCâ€™s Android phones, and Windows Mobile 6.5 devices (as an enhanced version of TouchFlo 3D). 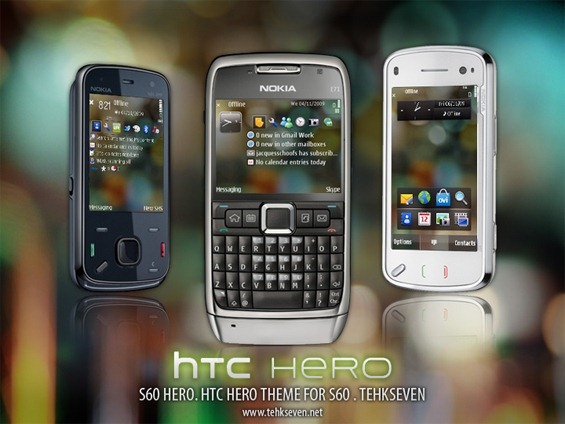 Thankfully, someone has stepped up and designed a Nokia Series 60 theme based on the HTC Hero and Sense UI. The theme works on all Series 60 3rd Edition and 5th Edition devices including Nokia E Series. The theme features the default wallpaper from the Sense UI, along with icons from most Ovi Store applications. In fact, all the 3rd party applications I had installed on my phone had their icons updated. The only concern I have about the theme is that the rich graphics consume slightly higher RAM compared to the stock themes on Series 60 devices, so if you are a bit conscious about the memory then you should keep an eye on your memory consumption while using this theme. Most users wont feel the difference however. Ran 51 queries in 0.270 seconds.